Boost your productivity through teams! Do you have a work group, department or team? 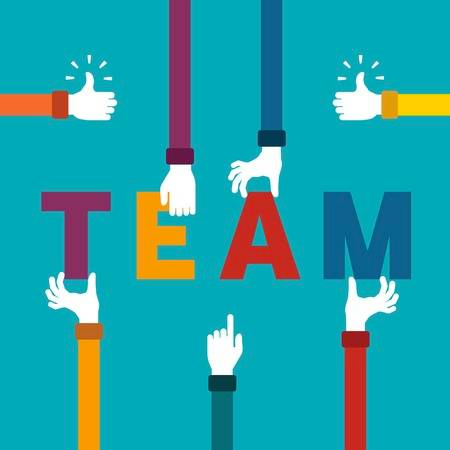 How do you improve team effectiveness? We can help! Successful teams act to accomplish their goals, utilize the expertise and talent of each team member and use effective relationships to motivate and sustain that success. See The Team Diagnostic™ Graphs below. The Team Diagnostic™ model defines seven separate productivity factors and seven positivity factors. This constellation of competencies and increasingly detailed layers of the report provide a complete picture of your teams effectiveness. 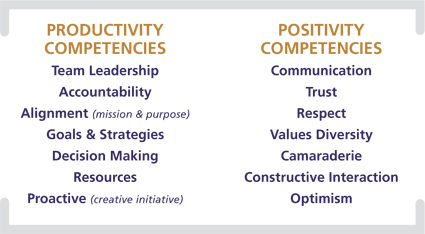 The team competencies for Productivity and Positivity are shown below. Source of the models: Team Coaching International, Inc. Contact Dr. Linda Liang, 847.712.9002 to find out more.